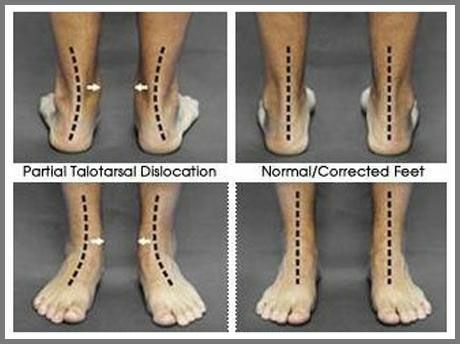 There are many treatment options available for flat feet. The treatment can range from conservative options to more invasive surgical options. The best choice for you or your child would depend on what you're trying to accomplish and how much time you can take for recovery. Conservative treatments such as orthotics are effective, safe and begin to work immediately. They do not require any down time. However, orthotics are only effective when they are being used. This can be frustrating when you are walking barefoot or wearing shoes, like sandals or slippers, that do not accommodate orthotics. This can also be a worry for parents whose children may not always remember the orthotic. Other surgical options can be invasive and require weeks and weeks of down time. While surgical interventions are permanent, they of course come with risk of side effects like any other surgery. Another minimally invasive and permanent solution to flat feet is a procedure called HyProCure. HyProCure requires minimal down time and side effects. It is credited to being a more natural surgical treatment for flat feet. The procedure only takes about 30 minutes. Talk to your doctor to determine which treatment option is the best for you or your child based on lifestyle.